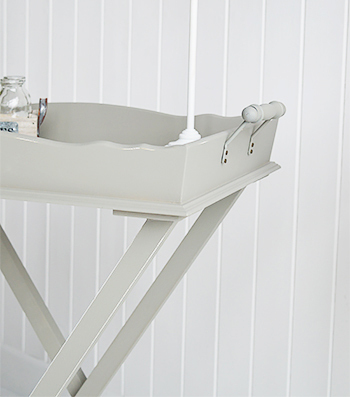 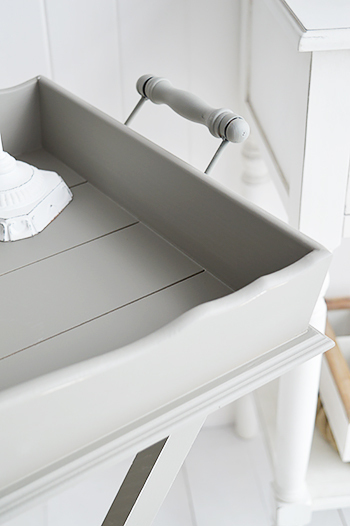 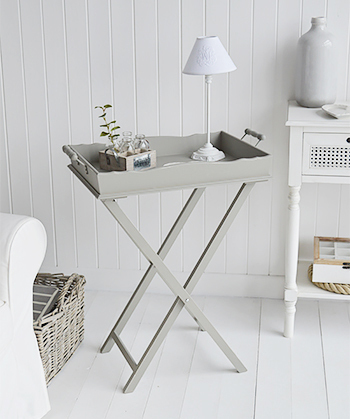 The Charleston Grey tray table. 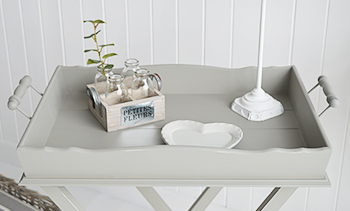 The Charleston grey table is a rustic but refined, finished in a distressed grey paint giving the furniture a classic french vintage look. 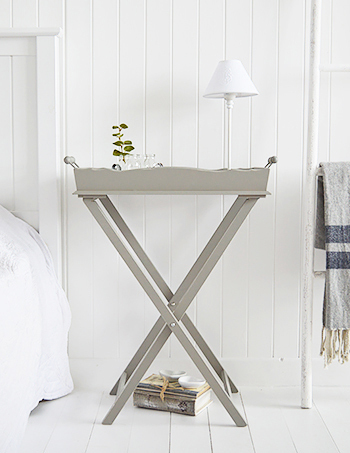 The antique brass handle and turned legs give it a refined feel. 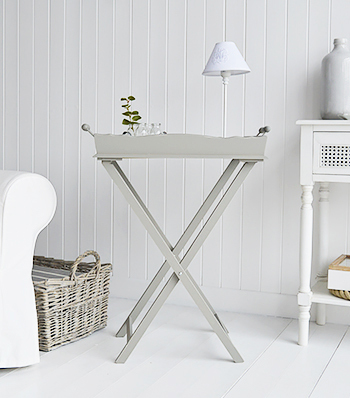 The side table is perfect as a bedside table in a white bedroom or in your hallway or living room as a lamp bedside or guest table. 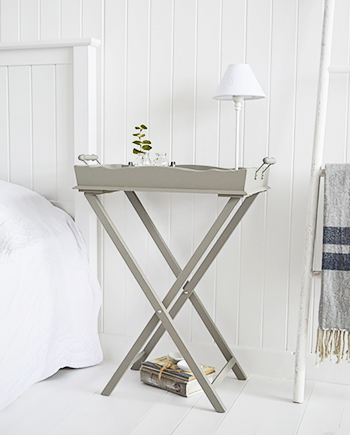 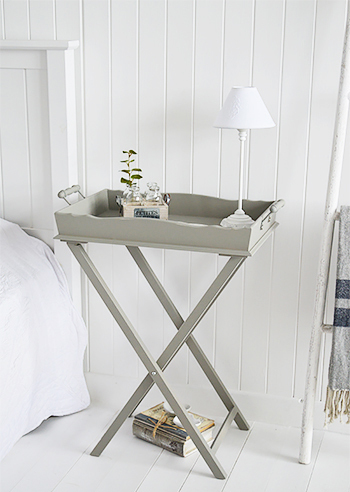 The Charleston Grey tray table can be folded for storage making it an excellent choice as a bedside in a guest bedroom or a pretty serving table for when guests are around.